A day at Gumnuts Pottsville. The doors open and the children’s explorations begin with Family Connections as children of all age groups play together. Children are guided to their respective outdoor areas where the are free to engage in a wide variety of gross motor and sensory experiences. Each room sits down to greet each other and discusses what they will do for the day. Preschool children are reminded of their daily jobs. A progressive morning tea commences. 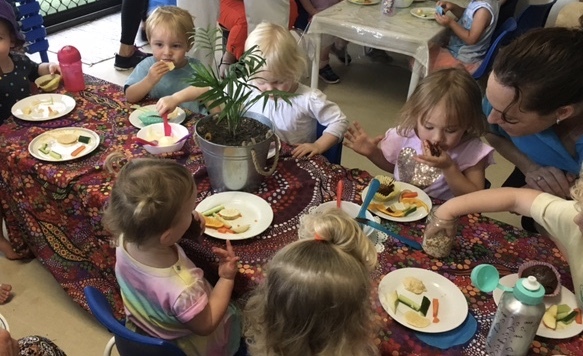 Children not eating are invited to explore their classrooms which have been set up based on the current interests of the group, including any project work. Children are invited to extend their play to the outdoors. They have the choice to participate in meaningful, interest based experiences in either the indoor or outdoor environments. Lunch is served on tables set up with tablecloths and flowers by the children, where they serve themselves and dine from real crockery. Children then wash their own dishes. After making their own beds, children rest for a minimum of 20mins before spending time reading and then participating in quiet table activities that are an extension of the mornings experiences. A progressive afternoon tea is offered while children pack their personal belongings into their bags. Each room sits together and reflects on their day and prepares to return to their outdoor spaces for further activities. Children are gathered indoors for Family Connections as they wind down after a stimulating day and prepare to go home. learning capacities and overall developmental needs. 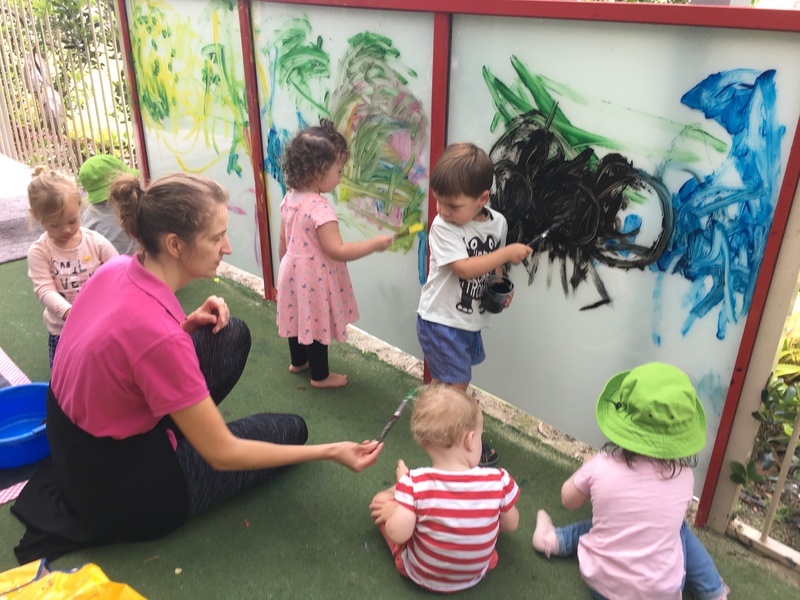 Gumnuts educational programs are based on the National Early Years Learning Framework (EYLF), National Quality Standards (NQS) for childcare services in Australia as well as the Reggio Emilia approach. In collaboration with the Educational Leader, educators observe, engage and reflect with the children in their rooms and choose certain topics to dissect and discuss. Educators document children’s individual learning as well as learning and understandings within a group context. Via critical reflection and individualised extensions, all children are supported and are prepared with a solid skill set for the next stage of their learning journey. Our educators are highly qualified and together hold over 100 years experience of working in early childhood education. Hailing from different backgrounds and cultures, our staff are dedicated, passionate and advocates for young children’s development and learning. On the ground, they are flexible, unconstrained and always ready to journey wherever the day takes them. 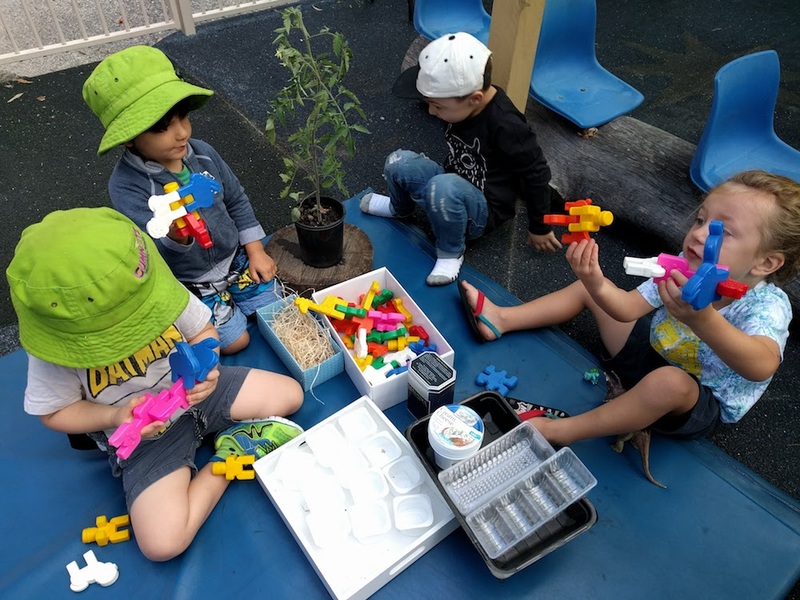 As Reggio Emilia inspired educators, they work in partnership alongside their children, supporting their ideas, passions and interests as they explore and encounter learning together. They listen, inspire and empower children to think for themselves. Our outdoor spaces offer children opportunities for self-guided play with a wide range of experiences and materials. Each room connects with an age-appropriate outdoor space where children can run, ride, dig, paint, throw and climb. The large outdoor area also boasts a herb and vegetable garden where children can watch their own plants grow. Gumnuts at Pottsville has an in-house cook who provides nutritionally balanced meals in accordance with the NSW Health Guidelines. Our menus are planned in collaboration with families and the children’s voice. The children play an active part in our food preparation and take turns to cook nutritional afternoon teas. All allergies and intolerances are catered for including soy products being offered as an alternative to dairy and gluten free options on request. Our Service is ‘nut aware’ and ask that no nuts or nut products be bought in at any time. In addition to the three main meals we offer a late afternoon tea at 4:30. Upon enrolment, we provide children with a wide-brimmed hat, t-shirt and bag for sleeptime items. We also provide suncream and insect repellant for when the children go outdoors to play, as well as wipes and creams for nappy changes and gel for teething. We ask parents to provide their own nappies (as this is a personal choice) as well as any specific food items or milk that a child may need. Gumnuts provides cow’s milk to children as requested by parents. We provide formal parent/teacher interviews mid year to track children’s learning and set goals for the remainder of the year. Due to the high demand of quality child care in and around Pottsville we only offer full day care. Our prices are set on a sliding scale with prices depending on ages. Occasional care is offered on a case to case basis. Our Preschool group regularly attends the Pottsville Beach Neighbourhood Center’s Community Gardens. 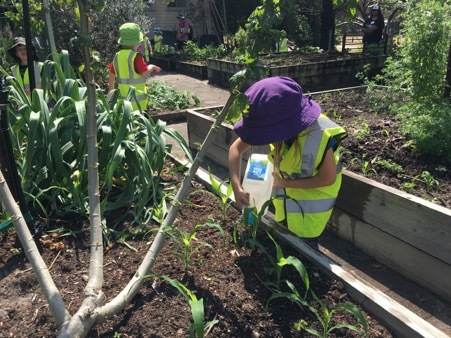 This involves the children exploring nature and having a hands on approach to growing their own vegetables while extending their knowledge of caring for plants. The children are given the opportunity to dig, plant, sow, transplant, touch, smell and water. The children take cuttings back to Gumnuts for the cook to add to meals or for families to take home. St Ambrose Primary School excursions offer the chance for the children to explore a school setting while being in the care of familiar educators. There are occasions across the year that we are invited to attend and participate in including Easter Hat Parades and Book Week Parades. These opportunity are invaluable in setting children up for a successful transition to school. ELLA (Early Learning Languages Australia) is a digital based learning program for pre-school aged children. A Government based initiative, its paramount aim is to scaffold a understanding for other languages early in life so that they will stay engaged with learning languages in later years. 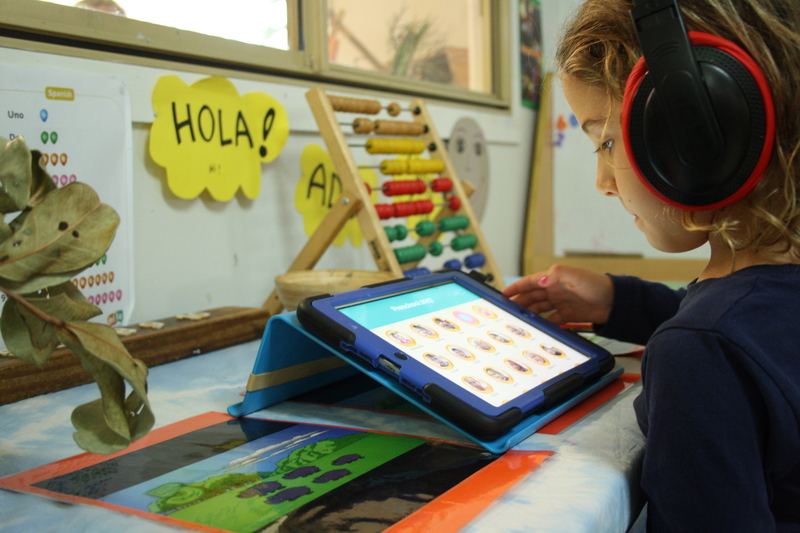 At Gumnuts, our kindergarten room use ipads to access the fun and stimulating games and clips for learning the Spanish language. The pre-kindergarten room also engages in Spanish via books and songs as an introduction before they engage with ELLA in the following year.